Infringers in China are getting bolder. Recently, we have been made aware of third party registrations of package designs used to hold brand owners and their products ransom. Based on these trademark registrations, the infringers then initiate complaints with e-commerce platforms such as Alibaba, Tmall, JD, etc., against a brand owner for selling products bearing the design. To avoid liability, the e-commerce platforms then delete the infringing links of the brand owner's products, thus shutting down the latter's sales channels. The brand owner is then coerced to either cease selling products on the platform or pay the infringer a ransom. Both options lead to business losses by the brand owner. The best prevention against infringement claims of this nature is to secure trademark registrations for all the primary elements of the package design. Since registrations of these designs can take up to 12 months to mature, it is important to file as soon as possible, and well before the product is shipped to stores or distributed for sale online. If a brand owner fails to obtain trademark registrations in time, it should consider securing copyright registration with the Copyright Protection Center of China ("CPCC"). Normally, it takes around 1-2 months to secure a copyright registration if everything goes smoothly. Since China is a signatory to the Berne Convention, a copyright first published in another member country is eligible for protection in China, a subject of course to the 50-year term. We can use a copyright registration certificate to defend against a claim for infringement brought by a third party. Normally, e-commerce platforms will not remove the products if a copyright registration certificate is available to show prior rights to the designs. The same is true of the local AICs. Thus, we recommend a copyright registration for the entire package design once it is completed. You may also consider registering some important elements separately. Note however that a copyright registration for the design will not prevent a third party from securing a trademark registration for the same design, as the copyright and trademark offices are considered separate government authorities. The copyright registration certificate can also be used as prima facie evidence of prior rights in subsequent actions against infringers, such as oppositions, invalidations, and civil proceedings. 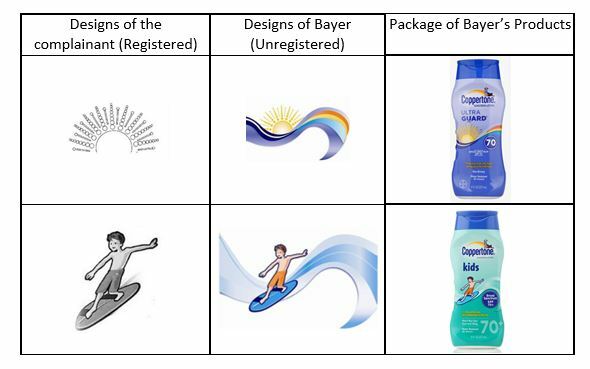 If the packaging design enjoys a certain novelty, a brand owner may also consider filing for design patent protection. Similar to a copyright registration, a patent registration can be used as a defense against any third party claims, and also as prima facie evidence in civil or administrative proceedings. 1. We can communicate with the e-commerce platforms to prevent your products from being removed. 2. We can file a lawsuit against the complainant, to obtain a favorable judgment of non-infringement, as in the case above. The risk of infringement in China is much higher than in most other countries. Given the relatively low cost of securing registrations when compared with litigation, lost sales or lost market share, we strongly recommend that you consider securing defensive registrations in China, early and thoroughly. We hope you found the above tips useful. Should you have any queries, please feel free to contact us.